DV Fanatics Blog: What is the Best Video NLE Out There? Does one video NLE stand out as the best? I often see polls on the web declaring one nonlinear editing system (NLE) better than another and often times I have to laugh. The best NLE depends on how well it does the job you need to accomplish at the moment. Paying attention to online polls to determine the best NLE is a lot like checking in with an online poll to determine your favorite color. It is completely subjective. Sure there are the major players out there and to throw consumer apps into the mix would be kind of absurd, but of the major players in the professional market, it's hard to make a case for which of them is best. Determining the best NLE depends upon a lot of variables, including personal preference. Most of the professional editors I know have a favorite, but use the tool that best fits the job at hand. 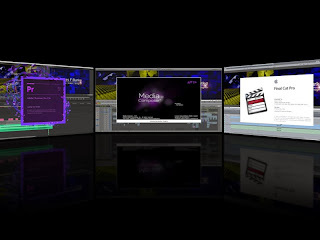 I've been using the Avid Media Composer for a long time and love the way it works. I find it fast only because it works the way that's natural for me. But if I have a project that consists of mostly Adobe After Effects comps, it's a no-brainer to use Adobe Premiere Pro for the edit. On the other hand, if I'm doing a project that requires me to capture old DV or analog video from tape, I prefer to use Apple Final Cut Studio. I recently purchased a copy of Final Cut Pro X and will soon find out how that will fit into my workflow. It's important for editors to be fluent in all of the major editing systems. Being fully versed only in an Avid system does you no good if the facility looking for freelance help is a Final Cut Pro facility. You may not have to be a Jack of all Trades, but it is necessary to know all of the editing systems out there. So the next time you read a poll declaring that one single NLE system is the best, ask yourself, is that system the best for how I like to work? "but it is necessary to know all of the editing systems out there". I'm not sure that's true in all cases. I'm a pro editor (that's where I make my money) & I edit exclusively on Media Composer. Why? It's the system I know & the one I am still learning. I want to be as proficient with MC as possible and that means constantly learning. I don't want to give up a second of learning MC because I'm learning a new edit system. I have no want to learn on a Mac and will not invest my time learning iOS or Final Cut. I've never lost a customer because I'm not using or know how to use FCX. I certainly wouldn't delay a project because I didn't know how to edit in Premiere or Vegas (although Vegas Video was my 1st edit platform). I don't want to come off smug or an Avid fan-boy, Media Composer is my tool of choice, I can deliver projects on time with it and most important, there is so much more I need to learn. With only so much time available to absorb new techniques, I can't afford to give up any time to learn new edit platform- it takes too much time to be really good at editing. Last thought (maybe a little fab-boy-ish), with the exception of After Effects, which I don't consider and editor, there is nothing offered by the other edit platforms that MC can't do. Thanks again for a good read! Thanks Leo, the Avid Media Composer is my edit tool of choice as well. If given the choice, I will always use Avid. In my market, there are facilities that use tools other than Avid and if I want the gig, it's important for me to know those tools as well. So it depends on the market. I don't consider After Effects an editing tool either, but I find it important to know After Effects. 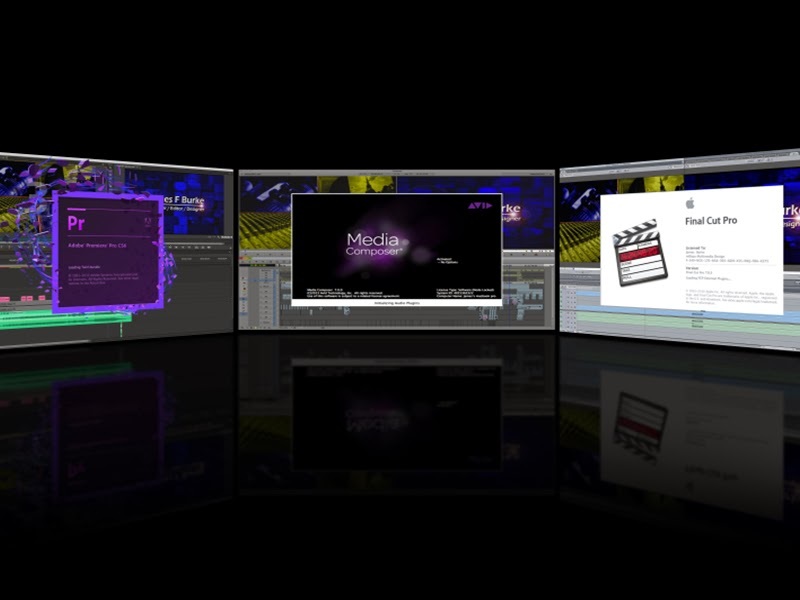 Even if the facility uses Avid Media Composer, a lot of times the graphics are done in After Effects. It can save a lot of time being able to jump from Media Composer into After Effects. That's one advantage that Premiere Pro has - it can have After Effects comps right in it's timeline, just like Media Composer has Avid FX. I personally prefer Premiere over Final Cut 7. The rendering time is a killer on FC. I also haven't heard many good things about Final Cut X either. What are some of the things you do to ensure your computer rendering speeds stay at their max? As I mentioned to Leo, I personally prefer the Avid Media Composer, but will use the best tool for the job. In some cases that's Premiere Pro and in some cases it's FCP. I have not had a chance to use FCPX yet, although I have a copy on my system. As far as maximizing my render speeds, in the Avid, as long as I import or transcode my source media to codecs that are native to the Avid, rending and export speeds are maximized. "haven't heard many good things about Final Cut X either "
Yeah, make your decisions based on hearsay. That's always a great way to go. Bravo. Or maybe just ask people that actually know what they're talking about?? Gee, now there's a concept. And comparing the age old, DEAD FCP 7 with Premiere is just ludicrous. Especially when FCPX will in fact kick the pants off of PPro in that respect... and you don't even know it's *happening*! The whole concept of this article is that no single NLE is better than all the rest, it all depends upon how well it works for the individual editor. Premiere is good, and I use it because it's included in my Adobe Creative Cloud membership, but for fast, intuitive editing, I prefer Edius Pro from Grass Valley. It is what I used the last few years I worked for TV stations doing ENG.